Looking for a way to take your tights game up a notch? On the Insta-scroll for ideas to style up your Hosiery that goes beyond the usual dress-and-tights combo? Then you’re in luck. Our gal, Jessica Alizzi behind the blog Jessica and Love, has done the styling work for us by showcasing two new looks that offer a unique twist on the way we traditionally wear Hosiery. For her first look, she added our Demoiselle Tight with a pair of old Levi jeans and Adidas classics for a denim and net combo, which we are really feeling. For her second look, she opted for an all-black “literally-every-season-in-Melbourne” vibe by pairing some over-the-knee socks with black shiny brogues. I really loved this look and ironically it kind of reminded me of the high school outfits in Gossip Girl. 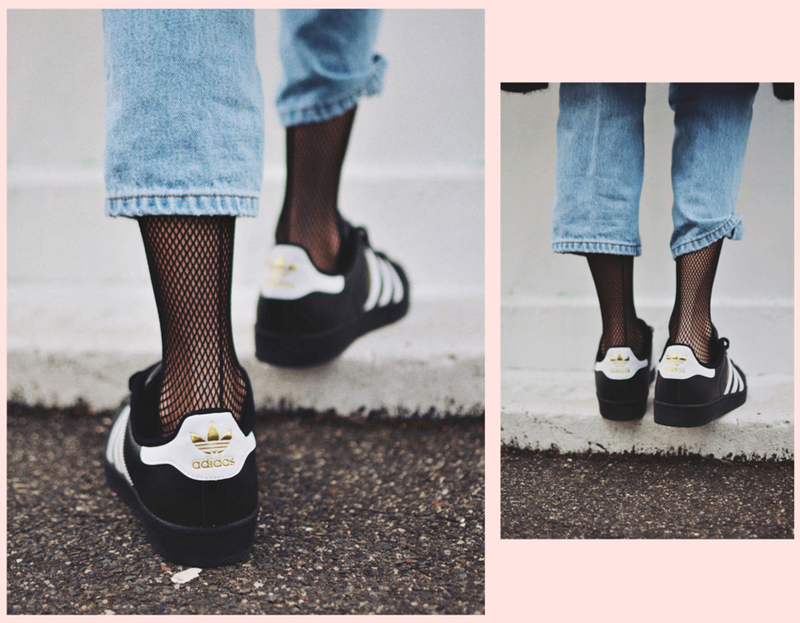 For more street style inspo, check out Jessica’s blog here.